I am on a roll today, and my sister Barb sending me new to me challenges left and right... I have to play along.. sister cardmaking code I think ;). 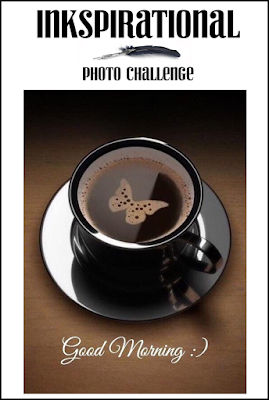 For this card I am playing along with Challenge #155- Coffee Photo Inkspirational Challenges. Kraft base with layers of dark brown cardstock and designer paper. I used stitched rectangles for the visible layers. I die cut the splat with brown cardstock. 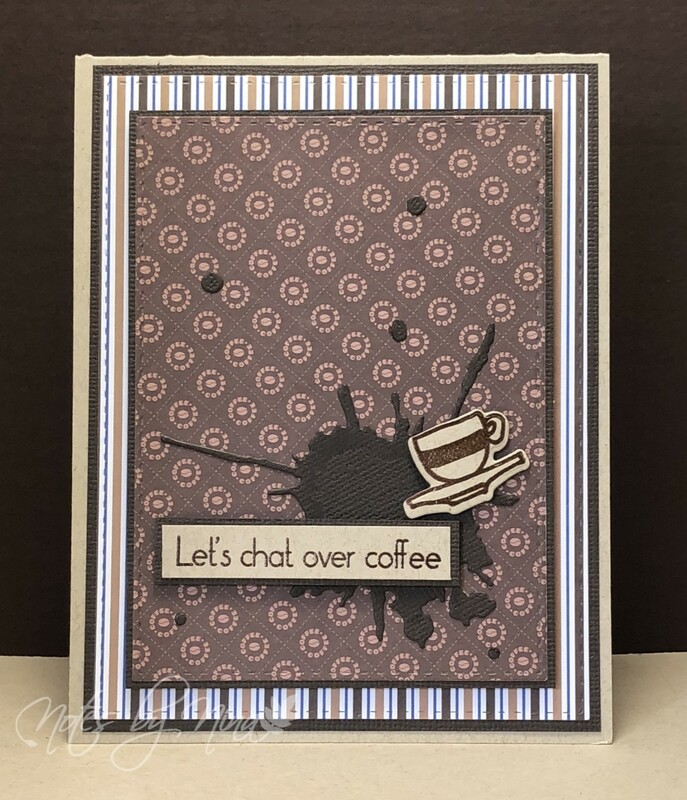 I heat embossed the sentiment and coffee cut. 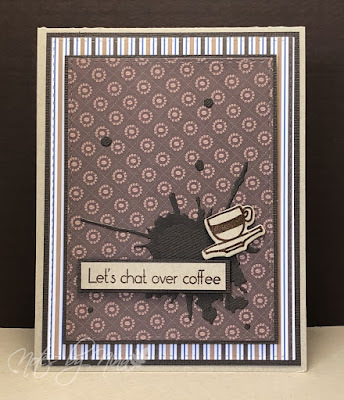 Supplies: Kraft and brown cardstock, Designer paper - your next stamp, Altenew - Coffee Love stamp and die set, SSS - Stitched Rectangles, Sizzix thinlits. Cute card! I like the coffee theme and especially the little "splash"! Thanks for sharing with us at Inkspirational!